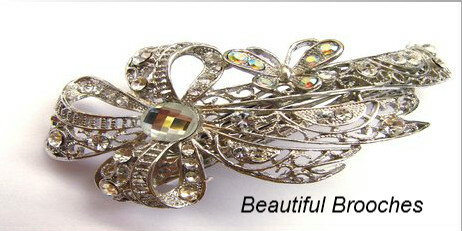 Huge Statement Crystal And Enamel Clip On Earrings By Swarovski. Huge, crystal and enamel clip on statement earrings by designer Swarovski. 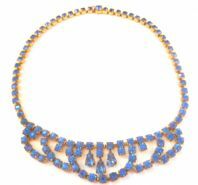 Vintage 50's Blue Rhinestone Studded Swag And Drop Necklace. 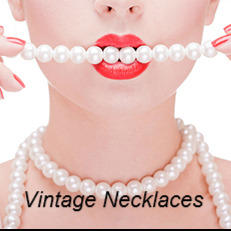 Vintage 50's blue rhinestone studded necklace with swags, drops, and disguised box fastening. Vintage Black And Gold Napier Earrings. Vintage faceted black rhinestone and gold earrings by designer Napier. 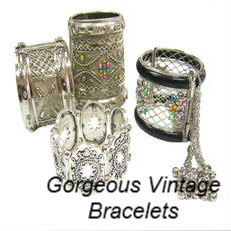 Vintage Enamel And Foil Over Copper Panel Bracelet. 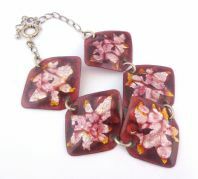 A vintage foil and enamel set onto copper, adjustable length, panel bracelet. Vintage Gold Silver And Faux Pearl Poppy Flower Brooch. 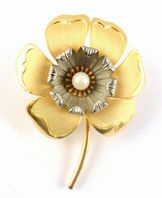 Vintage large, gold and silver tone metal poppy flower brooch.